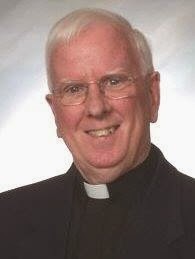 I light a memorial candle for Father Robert Nugent, who died Jan. 1, 2014 at age 76. Nugent was a Roman Catholic priest who was silenced for his work with lesbian and gay people. He co-founded New Ways Ministry, which advocates for LGBT people in church and society. In 1971 Nugent met Sister Jeannine Gramick. She was doing pastoral work with lesbian and gay Catholics who were rejected by the church for their sexual orientation. He joined her and in 1977 they co-founded New Ways Ministry as a national resource and advocacy center for lesbian and gay Catholics, pastoral leaders, and family members. For decades the pair traveled nationwide promoting a more inclusive church and facing disapproval from many church leaders. In 1999-2000 the Vatican condemned New Ways Ministry, ordered Nugent to stop pastoral ministry within the lesbian and gay community, and directed him to ceased speaking and writing about LGBT rights. He continued to express God’s love for queer people privately and in small groups until the end of his life. As far as I’m concerned, any Catholic priest who dared to advocate for lesbian and gay people way back in the early 1970s is already a saint -- especially if he was outspoken enough to be silenced by the Vatican. Now the pioneering prophet known as Father Bob makes the transition from earthly life to eternal life, where he can become our newest advocate among the saints. This post is part of the GLBT Saints series by Kittredge Cherry at the Jesus in Love Blog. 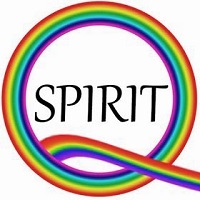 Saints, martyrs, mystics, prophets, witnesses, heroes, holy people, humanitarians, deities and religious figures of special interest to lesbian, gay, bisexual and transgender (LGBT) and queer people and our allies are covered on appropriate dates throughout the year. Epiphany: Three kings or three queens?